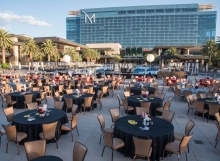 Hakkasan Group donated auction gifts totaling $28,000 at Goodie Two Shoe’s annual Heart n’ Sole Gala. 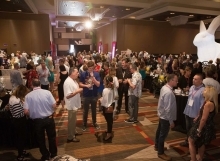 Hakkasan continued to support GTSF by donating and volunteering at multiple events throughout the year. 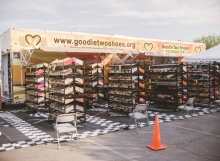 Due to our ongoing support, we were chosen as The Goodie Two Shoes Foundation “Patron of the Year” for 2017. 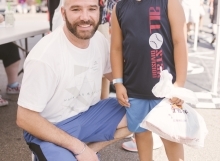 Hakkasan Group partnered with Goodie Two Shoes to raise a total of $55,000 in donations, hosted four volunteer events that outfitted 1,662 children, and raised enough funds to provide 2,200 kids with new shoes and socks. 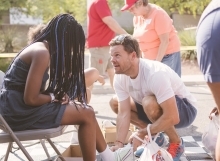 “Our unique distribution model is based on the premise that we don’t just provide a child in need with a new pair of shoes. 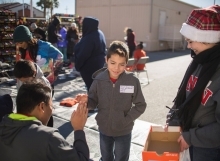 GTSF EMPOWERS children with CHOICE by giving them the opportunity to select any properly-fitting pair of shoes they want from our large traveling stock of high-quality sneakers! GTSF shoe distributions not only provide a much-needed basic necessity to children in need but they also help increase school attendance, improve student engagement amongst at-risk and vulnerable student populations, and help close the achievement gap by increasing school moral, focus, and educational interest in the classroom. 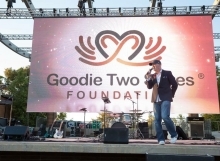 To learn more about The Goodie Two Shoes Foundation, please visit their site.